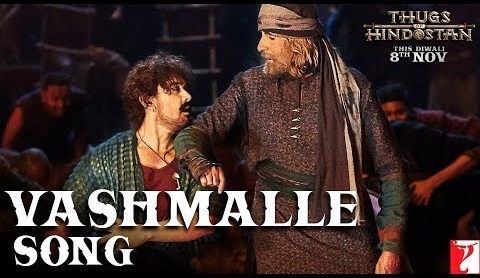 Here is 'Thugs Of Hindostan' 1st song video titled 'Vashmalle'. 'Vashmalle' is sung by Sukhwinder Singh and Vishal Dadlani. The lyrics for the song is written by Amitabh Bhattacharya and the music is composed by Ajay-Atul. 'Thugs Of Hindostan' is slated to release on 8 November, 2018.